I was watching my hummingbirds today and thought about how much they are like an audience. They may investigate you to see what you are about. If you have a red shirt on they may look for a flower opening for a few moments (which can startle you!). But since you don't have one they will quickly leave. If you have something they want (say a well of sugar water in your palm) they may indeed stay for a while. The same goes for an audience. You may attract them with a red shirt (or other sparkly, crazy or otherwise interesting promotion and marketing) but if you don't have what they like (music that pleases them) they will leave as quickly as they hovered near you momentarily. First of all, be musically true to yourself. 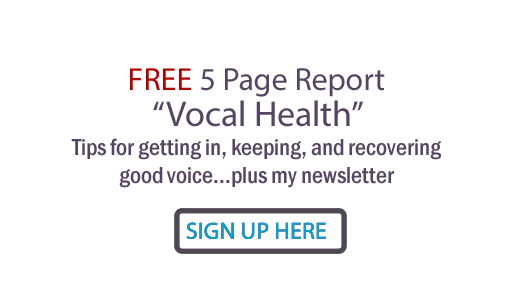 Discover what moves you most as well as what seems most natural for your voice. Make that music as well as you can possibly do it. Get training to keep improving on what YOU DO. Secondly, once you gain an audience's attention, make sure you give them what they came for. Change the recipe and it could spell disaster for keeping that audience. On the other hand, if you want to change your musical style or genre because you truly want to grow another way, then just know that you will have to draw/build/keep another audience, unless a few of the people following you like the new sugar water, too. And that's absolutely ok... just know your old crowd may not like your new sound. If this is really what you feel you want to do, patience and consistency within your new sound may draw a new audience. What not to do? Don't just do music that you think will sell (unless it fits you). Trying to follow the trends is not nearly as attractive as leading a trend. I know of several successful artists who tried to read the tea leaves and do music they thought would work, but they ended up sounding inauthentic and fake. It didn't work.